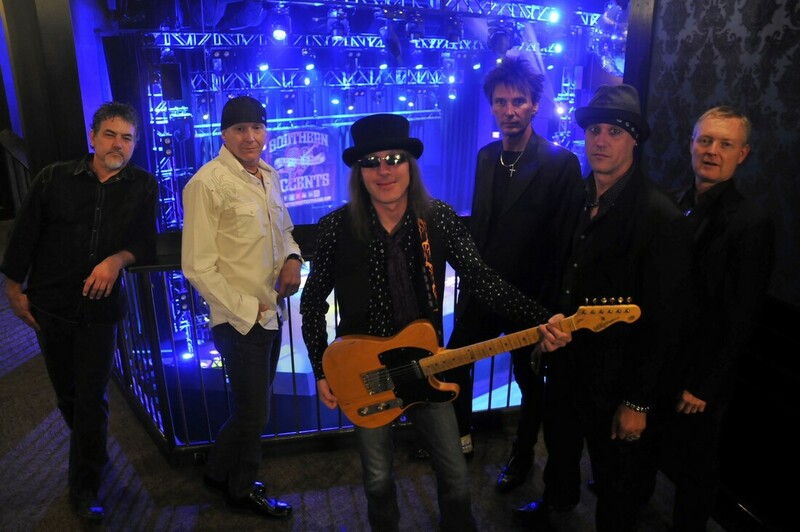 Assembled from an entire team of talented ace-musicians from the Nashville studio & touring- circuit, Southern Accents recreates the music, style & sound of Tom Petty professionally with immaculate precision and wildly contagious enthusiasm. United in their quest to be the Ultimate Tom Petty & The Heartbreakers Experience, each member of the band looks the part, plays the part, and LIVES the part; the result is pure entertainment & songs so dedicated and true to the originals that you’d swear music-history was being made all-over again right before your eyes & ears. And that’s because it truly is. From their uncanny resemblance to the original band and the way they move onstage to the note-for-note, stunning recreations of Petty’s music from throughout his entire catalog – Southern Accents showcase the best of the best of his songs from his rise to fame and highlight every reason his music continues to be an essential part of what we all listen to today. Playing the tunes 100% live with no backing-tracks of any kind – the entire Southern Accents band pride themselves on being the most accurate representation & faithful tribute to Tom Petty’s music out there in the world today. And that’s because they truly are. Southern Accents has already caught the attention & support of the Tom Petty Nation! Fan Club and their president Keith Eveland is planning a trip to see the band this coming spring after spending time with their own doppelganger-version of Tom, Ronnie Gregg (Vocals, Guitar) in the summer of 2016. Playing hit-after-hit, night-after-night with Ronnie onstage are the incredible talents of Bob Ocker (Guitar), Josh Rosen (Keyboards), Jason Fletcher (Guitar) and Paul Jones (Bass); their combined experience includes playing with some of the country’s strongest voices & most accomplished artists like Josh Groban, Trisha Yearwood, Aaron Tippin, Dolly Parton and many, many more. Southern Accents and its players have been invited onto thousands of stages throughout their experience and they’re ready to thrill from thousands more. And that’s because Southern Accents truly loves the music they make. The depth of the care and effort that Southern Accents put into their stage-presence and matching Petty’s moves & music separates them far from any other tribute band out there; they play it like it was their very own while showing respect to its original creator through their bold & perfect impression. They bring the timeless melodies, sweet rhythms and wild rock-music of Tom Petty to the stage for everyone to experience & fall in love with all over again, passionately, accurately and vibrantly, recreating some of the most important songs to have ever been written throughout our music’s history.